AWS Archives - Page 2 of 3 - VIRTUALIZATION IS LIFE! Back in April, I was lucky enough to present at the AWS Summit in Singapore. The session was a joint one with Alex Thomson from N2WS on how Veeam and N2WS are protecting native workloads within AWS and also extending that out to protecting Hybrid workloads sitting on-premises back to AWS or within VMware Cloud on AWS. The session video is embedded below and goes for about 30 minutes. Alex and I talk about Veeam’s vision for Intelligent Data Management, an introduction into N2WS, a look at VTL solutions for offsite backups and finish out with an introduction into how Veeam works natively with VMware Cloud on AWS. 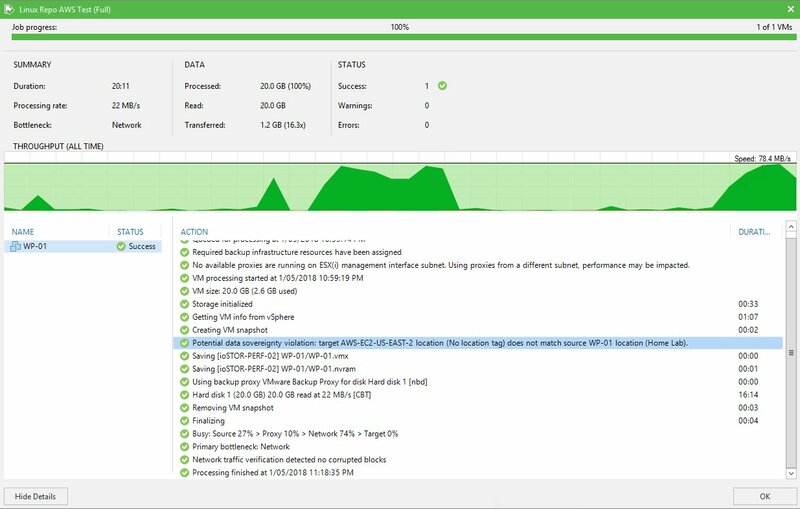 Veeam has pioneered the market of Availability for the Always On Enterprise by helping enterprises meet recovery time and point objectives (RTPO) of less than 15 minutes on any cloud or hybrid platform. Veeam recently acquired N2WS, a leading provider of cloud native backup and DR solutions providing backup automation and instant recovery for AWS workloads. Come and hear how N2WS is leading the backup and recovery of EC2 instances and native AWS workloads, how Veeam VTL technology leveraging the AWS Storage Gateway offers offsite cloud repositories as well as how Veeam is offering leading availability solutions for VMware Cloud on AWS. – Anthony Spiteri, Global Technologist, Product Strategy, Veeam. 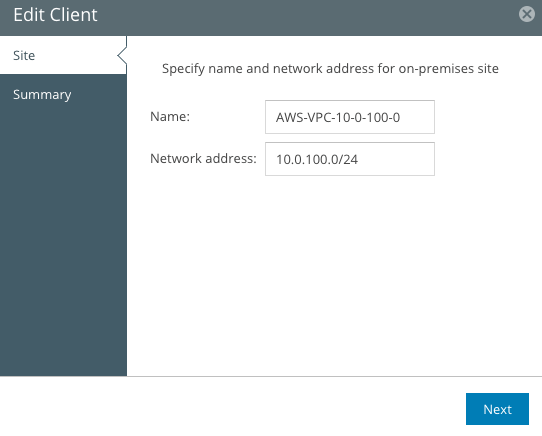 A month of so ago I wrote a post on deploying Veeam Powered Network into an AWS VPC as a way to extend the VPC network to a remote site to leverage a Veeam Linux Repository running as an EC2 instance. During the course of deploying that solution I came across a lot of little check boxes and settings that needed to by tweaked in order to get things working. After that, I set myself the goal of trying to automate and orchestrate the deployment end to end. For an overview of the intended purpose behind the solution head to the original blog post here. 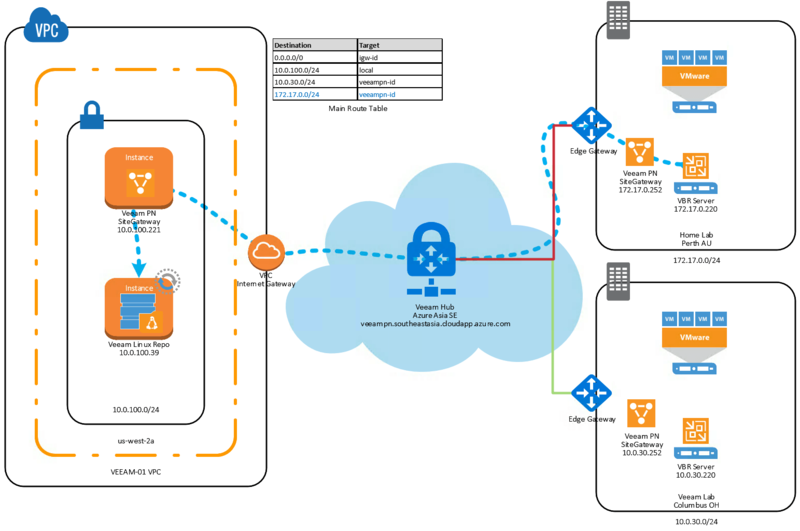 That post was mainly focused around the Veeam PN component, however I was using that as a mechanism to create a site-to-site connection to allow Veeam Backup & Replication to talk to the other EC2 instance which was the Veeam Linux Repository. In order to automate the deployment into AWS, I looked at Cloudformation first…but found that learning curve to be a little steep…so I went back to HashiCorp’s Terraform which I have been familiar with for a number of years, but never gotten my hands dirty with. HashiCorp specialise in Cloud Infrastructure Automation and their provisioning product is called Terraform. Terraform is used to create, manage, and update infrastructure resources such as physical machines, VMs, network switches, containers, and more. Almost any infrastructure type can be represented as a resource in Terraform. A provider is responsible for understanding API interactions and exposing resources. Providers generally are an IaaS (e.g. AWS, GCP, Microsoft Azure, OpenStack), PaaS (e.g. 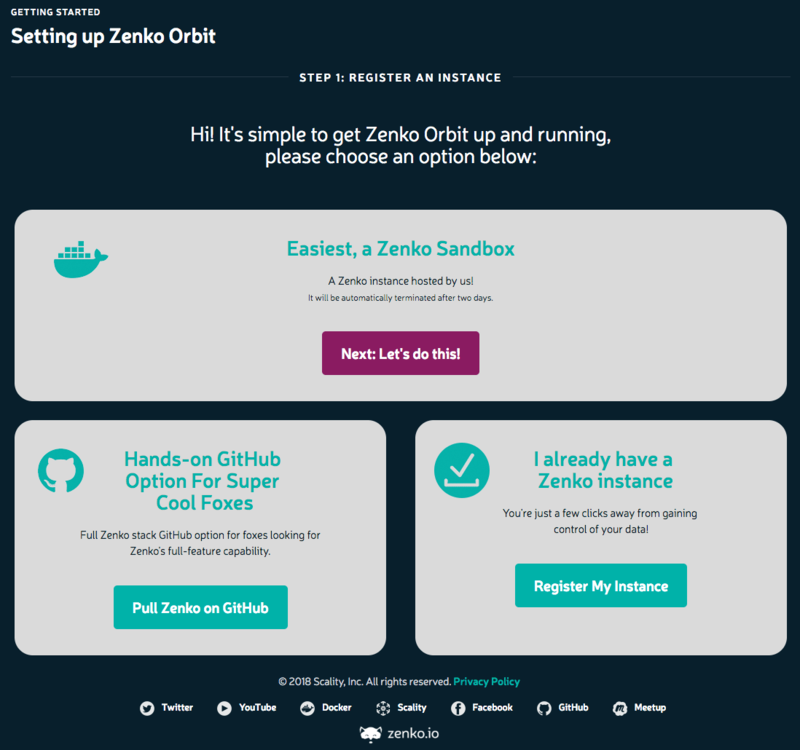 Heroku), or SaaS services (e.g. Terraform Enterprise, DNSimple, CloudFlare). Terraform supports a host of providers and once you wrap your head around the basics and view some example code, provisioning Infrastructure as Code can be achieved with relatively no coding experience…however, as I did find out, you need to be careful in this world and not make the same initial mistake I did as explained in this post. The Terraform AWS provider is what I used to create the code required to deploy the required components. Like everything that’s automated, you need to understand the manual process first and that is where the previous experience came in handy. I knew what the end result was…I just needed to work backwards and make sure that the Terraform provider had all the instructions it needed to orchestrate the build. 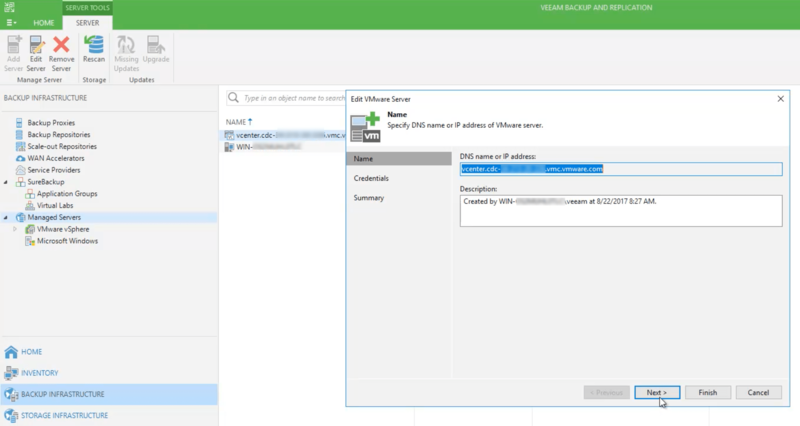 Login to Veeam PN Web Console and Import Site Configuration. In order to get the Terraform plan to work there are some variables that need modifying in the GitHub Project and you will need to download, install and initialise Terraform. 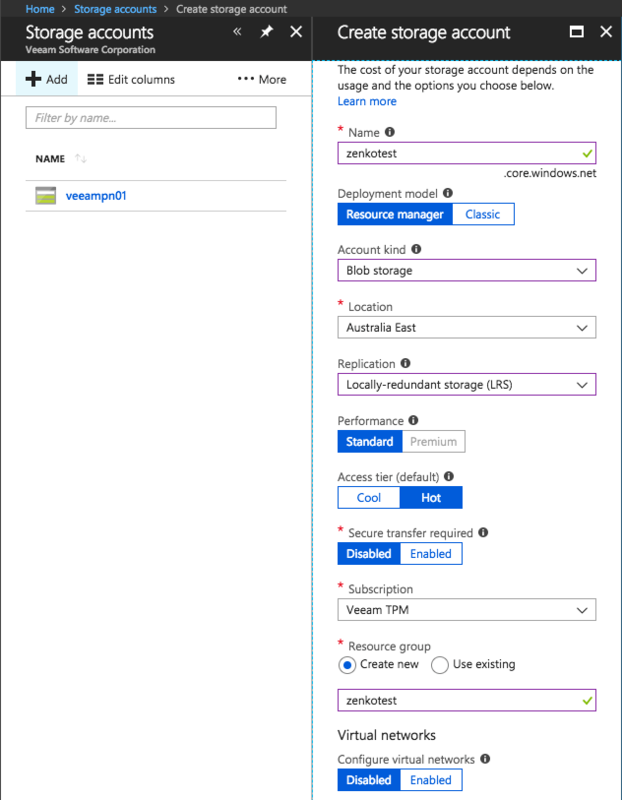 I’m intending to continue to tweak the project and complete the provisioning end to end, including the Veeam PN site configuration part at the end. The remote execution feature of Terraform allows some pretty cool things by way of script initiation. Earlier this year Veeam acquired N2WS after announcements last year of a technology partnership at VeeamON 2017. The more I tinker with Cloud Protection Manager the more I understand why we made the acquisition. N2WS was founded in 2012 with their first product shipping in 2013. Purpose built for AWS supporting all types of EC2 instances, EBS volumes, RDS, DynamoDB & Redshift and AMI creation and distributed as an AMI through the AWS Marketplace. The product is easy to deploy and has extended it’s feature set with the release of 2.3d announced during VeeamON 2018 a couple weeks ago. 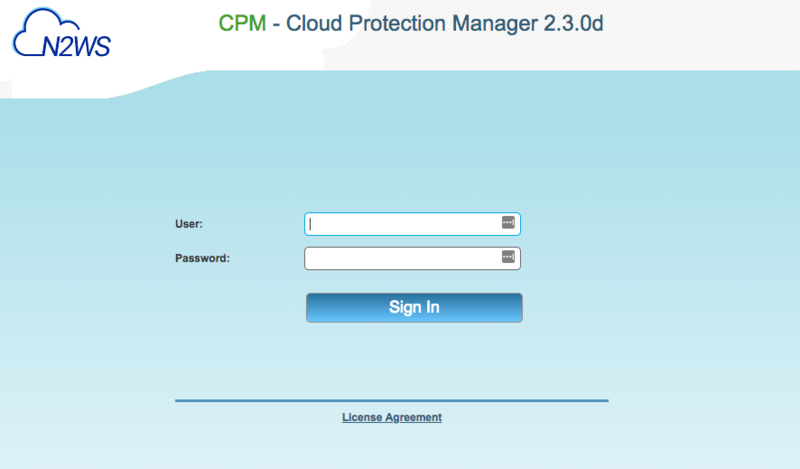 Cloud Protection Manager (CPM) is an enterprise-class backup, recovery, and disaster recovery solution purpose-built for Amazon Web Services EC2 environments. CPM enhances AWS data protection with automated and flexible backup policies, application consistent backups, 1-click instant recovery, and disaster recovery to other AWS region or AWS accounts ensuring cloud resiliency for the largest production AWS environment. By extending and enhancing native AWS capabilities, CPM protects the valuable data and mission-critical applications in the AWS cloud. 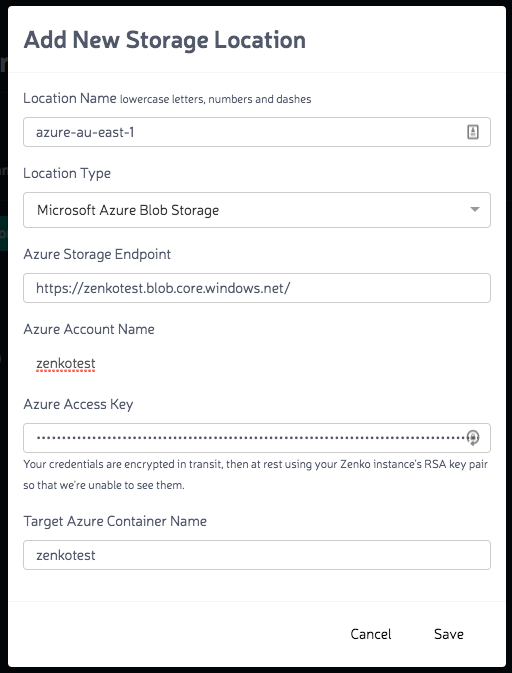 In this post, I wanted to show how easy it is to deploy and install Cloud Protection Manager as well as look at some of the new features in the 2.3d release. I will do a follow up post going into more detail about how to protect AWS Instances and services with CPM. Automated backup for Amazon DynamoDB: CPM provides backup and recovery for Amazon DynamoDB, you can now apply existing policies and schedules to backup and restore their DynamoDB tables and metadata. 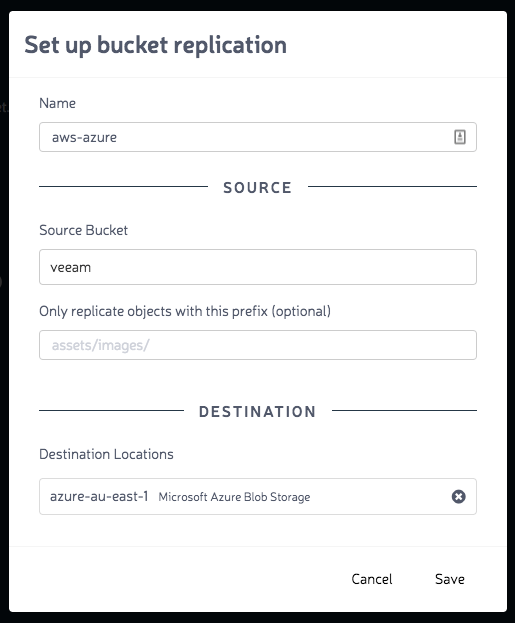 RESTful API: Completely automate backup and recovery operations with the new Cloud Protection Manager API. This feature provides seamless integration between CPM and other applications. Enhanced reporting features: Enhancements include the ability to gather all reports in one tab, run as a CSV, view both protected and unprotected resources and include new filtering options as well. Other new features that come as part of the CPM 2.3 release include full cross-region and cross-account disaster recovery for Aurora databases, enhanced permissions for users and a fast and efficient on boarding process using CloudFormation’s 1-click template. 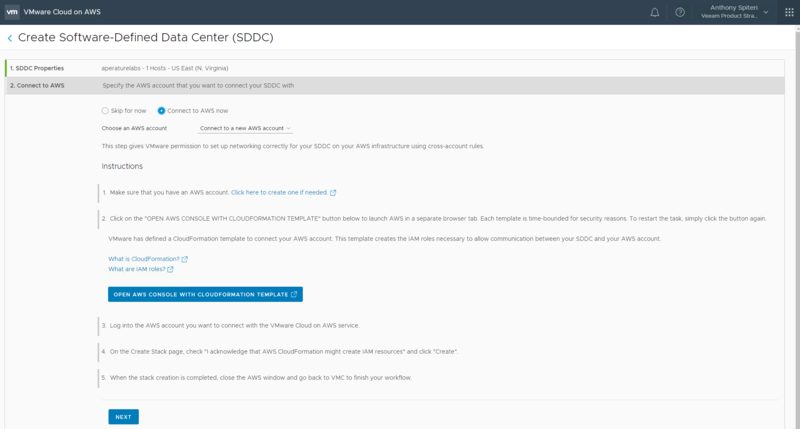 The process to install Cloud Protection Manager from the AWS Marketplace is seamless and can be done via a couple different methods including a 1-Click deployment. The offical install guide can be read here. 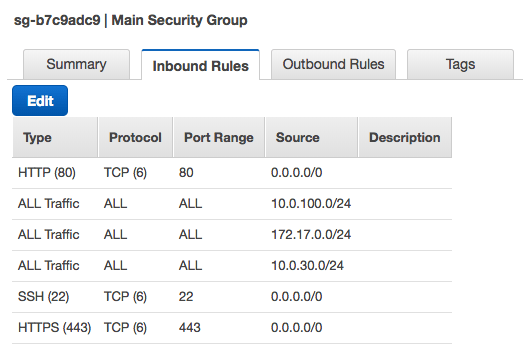 The CPM EC2 instance is deployed into a new or existing VPC configured with a subnet and must be put into an existing, or new Security Group. Once deployed you are given the details of the installation. 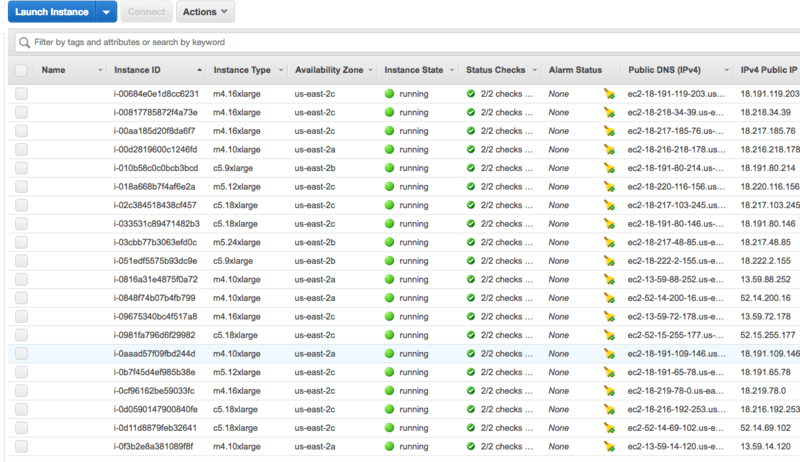 And you can see it from the AWS Console under the EC2 instances. I’ve added a name for the instance just for clarities sake. 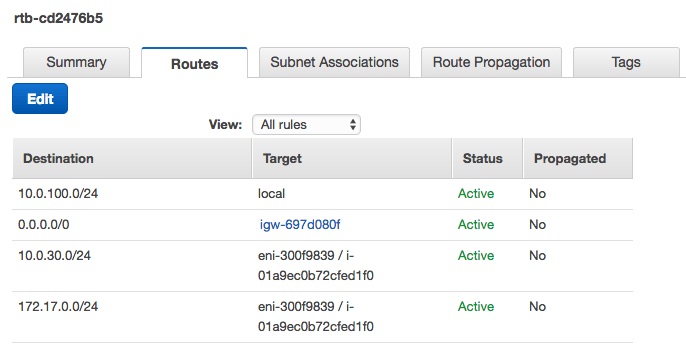 One thing to note is that there is no public IP assigned to the instance as part of the deployment. 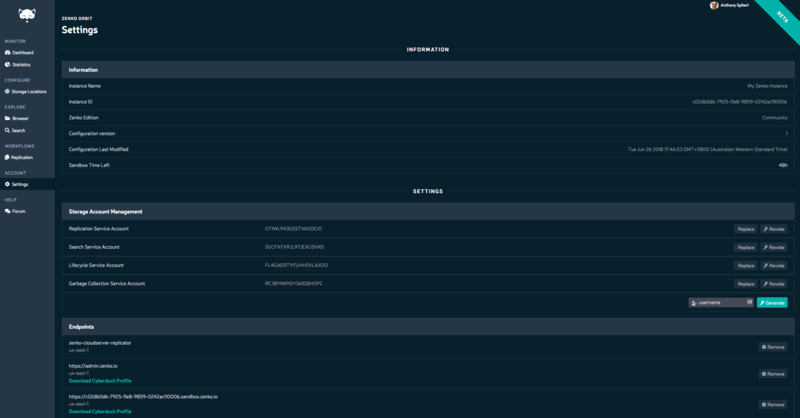 You can create a new Elastic IP and attach it to the instance, or you can access the configuration website via it’s internal IP if you have access to the subnet via some form of VPN or network extension. There is an initial configuration wizard that guides you through the registration and setup of CPM. 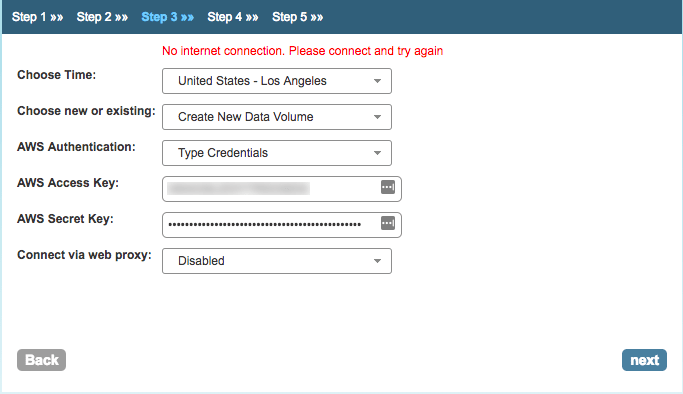 Note that you do need internet connectivity to complete the process otherwise you will get this error. The final step will allow you to configure a volume for CPM use. With that the wizard finalises the setup and you can log into the Cloud Protection Manager. The ability to backup AWS services natively has it’s advantages over traditional methods such as agents. 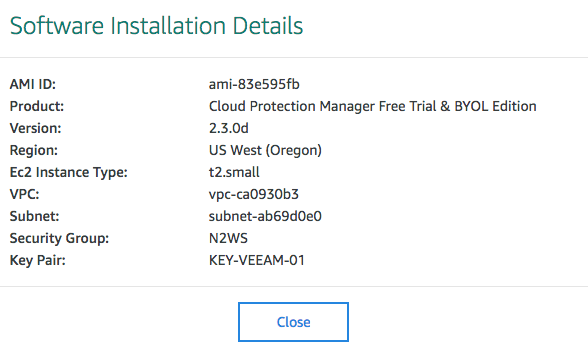 Cloud Protection Manager from N2WS can be installed and ready to go within 5 minutes. In the next post, i’ll walk through the CPM interface and show how you backup and recover AWS instances and services. 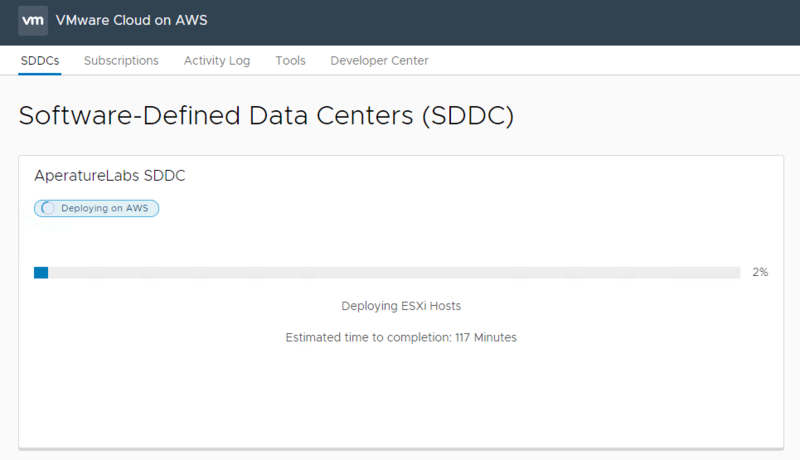 I’ve been doing a little more within AWS over the past month or so related to my work with VMware Cloud on AWS and the setting up of EC2 instances to use as Veeam Linux Repositories. 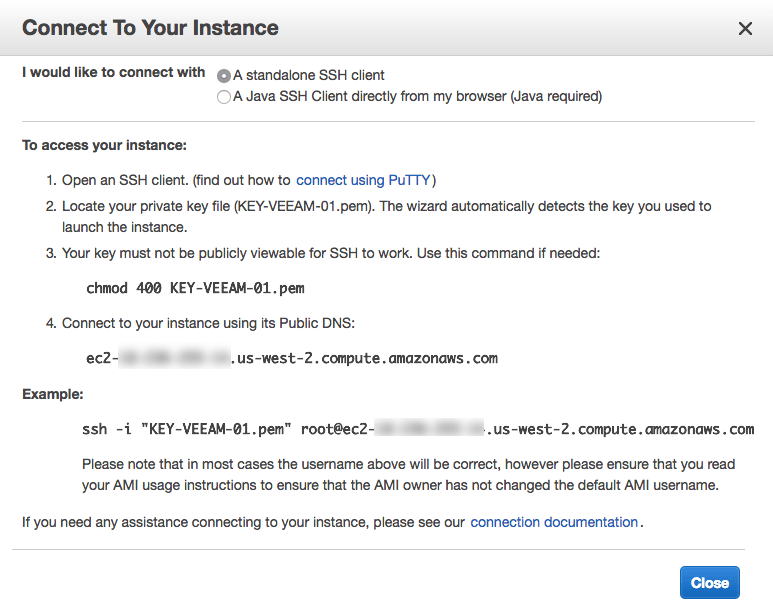 When deploying a linux based instance in AWS you set a key pair to the instance at the time of deployment. You then download the private key pem file and use that to remotely connect to the instance when desired. In my testing, I wanted to configure this EC2 instance as a Linux Repository. When creating a new repository you need to set up the Linux server with the key pair. To do this you need to select the Add Linux Private Key drop down in the new Linux Server window. 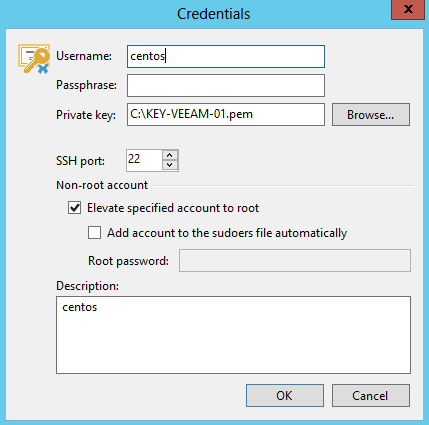 Next you need to enter the username of the EC2 instance which in this case is centos (best practice here is to create a new repository user and elevate to root but for my testing using the provided) and then load up the pem file that contains the private key. You don’t need to enter in a Passphrase. The check box to Elevate specified account to root is also selected. Accept the server thumbprint as shown below. 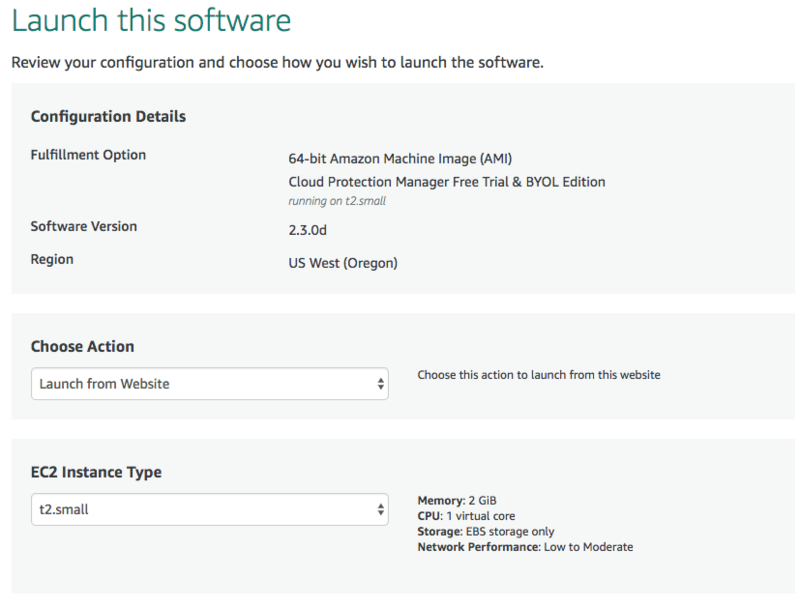 Once accepted the Veeam Linux components will be installed and all things being equal you will have a Veeam Linux based repository ready for action that lives remotely on an EC2 instance. 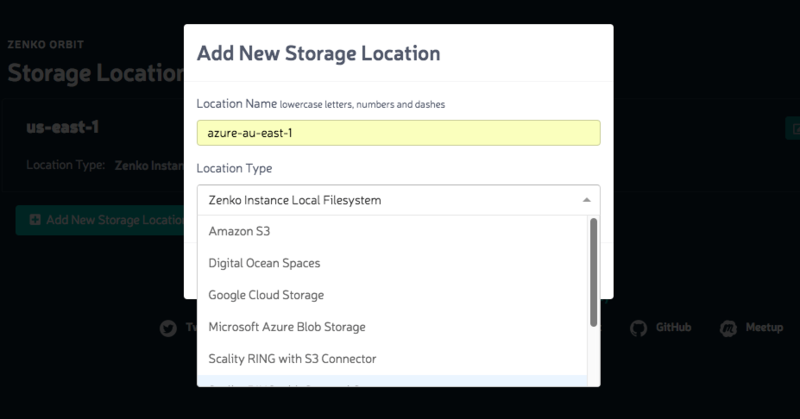 Once complete you can tag the location against the repository and now use it as a backup target. 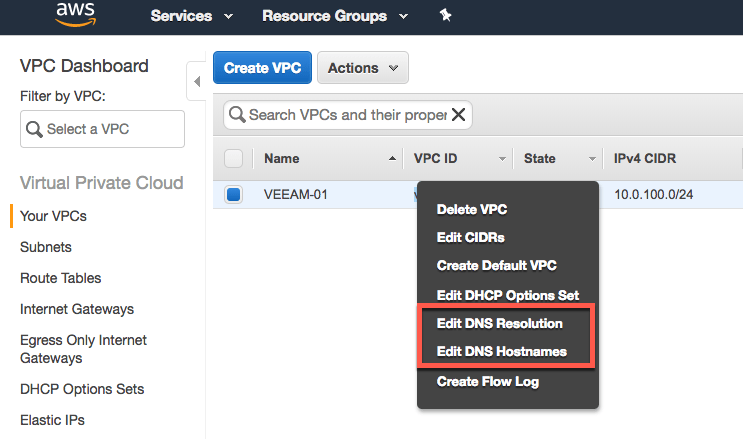 So there you go, a quick post on how to get an EC2 Linux instance up and running in Veeam Backup & Replication as a Linux Repository. At VMworld 2017 Veeam was announced as one of only two foundation Data Protection partners for VMware Cloud on AWS. 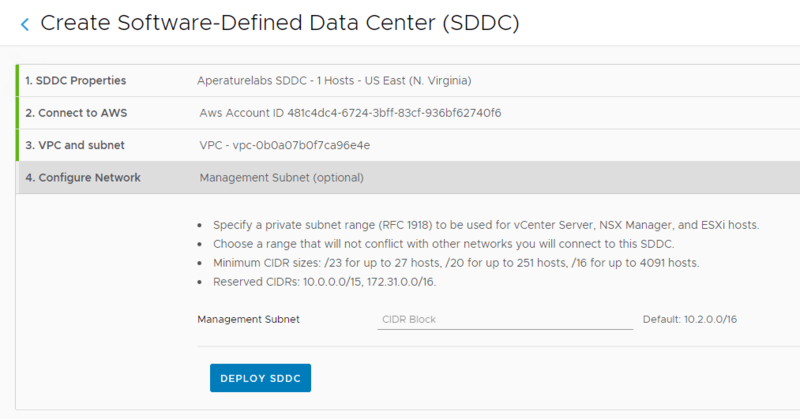 This functionality was dependant on the release of Veeam Backup & Replication 9.5 Update 3 that contained the enhancements for it to interoperate with VMware Cloud on AWS locked down vCenter. This week 9.5 Update has been listed on the VMware Compatibility Guide (VCG) for Data Protection. 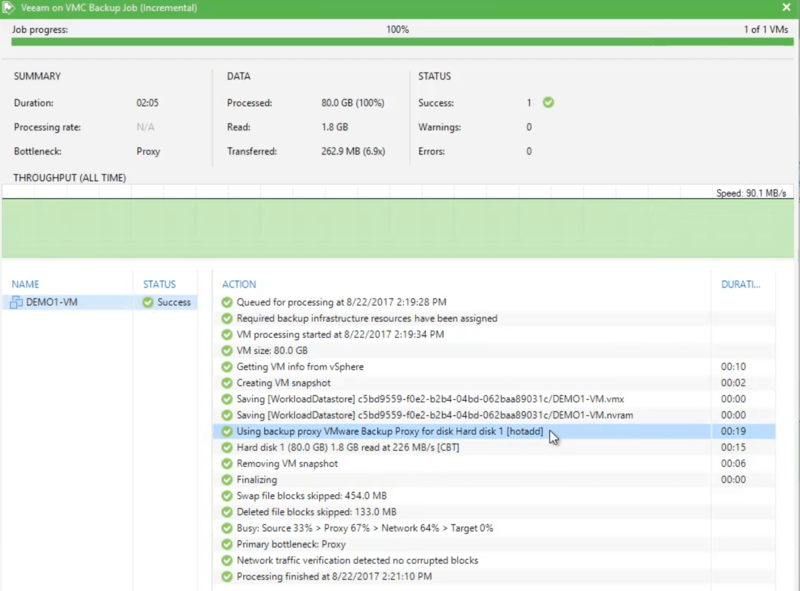 In terms of what you now get in Update 3, there is little noticeable difference in the process to configure and run backup or replication jobs from within Veeam Backup & Replication. 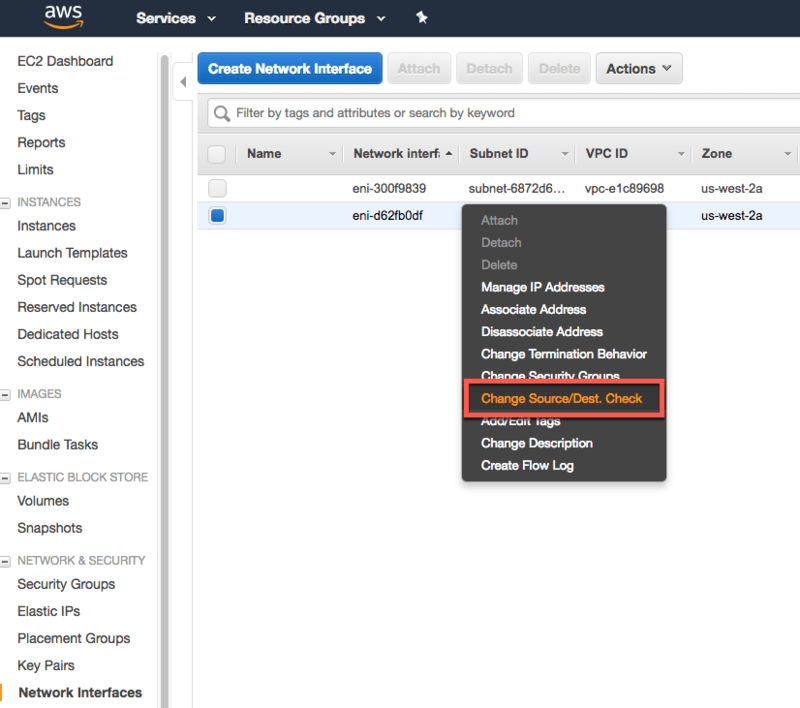 The VMware Cloud on AWS resources are treated as just another cluster so most actions and features of the core platform work as if the cloud based cluster was local or otherwise. There were a few limitations that VMware have placed on the solution which means that our NFS based features such as Instant VM Recovery, Virtual Labs or Surebackups won’t work at this stage. HotAdd mode is the only supported backup transport mode (which isn’t a bad thing as it’s my preferred transport mode) which talks to a new VDDK library that is part of the VMC platform. I’m really excited where VMware takes VMware Cloud on AWS and I see a lot of opportunities for the platform to be used as an availability resource. Over the next couple of months I’m hoping to be able to dive a little more into how Veeam can offer both backup and replication solutions for VMware Cloud on AWS. Given this was my first AWS re:invent I didn’t know what to expect from the keynotes and while Wednesday’s keynote focused on new release announcements, Thursday’s keynote with Werner Vogels was more geared towards thought leadership on where in AWS want’s to take the industry that it has enabled over the next two to five years. He titled this, 21st Century Architecture and talked around and how AWS don’t go about the building of their platforms by themselves in an isolated environment…they take feedback from clients which allows them to radically change the way they build their systems. The goal is for them to design very nimble and fast tools from which their customers can decide exactly how to use them. The sheer number of new tools and services i’ve seen AWS release since I first used them back in 2011 is actually quiet daunting. As someone who is not a developer but has come from a hosting and virtualization background I sometimes look at AWS as offering complex simplicity. In fact I wrote about that very thing in this post from 2015. In that post I was a little cynical of AWS and while I still don’t have the opinion that AWS is the be all and end all of all things cloud, I have come around to understanding the way they go about things….. I wanted to take some time to comment on Vogels thoughts on voice and speech recognition. The premise was that all past and current interactions with computers has been driven my the machinery…screen, keyboard, mouse and fingers are all common however up to this point it could be argued that it’s not the way in which we naturally interact with other people. Because of the fact this interaction is driven by the machine we know how to not only interact with machines, but also manipulate the inputs so we get what we want as efficiently as possible. If I look at the example of SIRI or Alexa today…when I try to ask them to answer me based on a query I have I know to fashion the question in such a way that will allow the technology to respond…this works most of the time because I know how to structure to questions to get the right answer. I treat the machine as a machine! If I look at how my kids interact with the same devices their way of asking questions is not crafted as if they where talking to a computer…for them they ask Alexa a question as if she was real. They treat the machine as a person. This is where Vogels started talking about his vision for interfaces of the future to by more human centric all based around advances in neural network technology which allow for near realtime responses which will drive the future of interfaces to these digital systems. The first step in that is going to be voice and Amazon has looked to lead the way in which home users interact with Amazon.com with Alexa. With the release of Alexa for Business this will look to extend beyond the home. For IT pros there is a future in voice interfaces that allow you to not only get feedback on current status of systems, but also (like in many SciFi movies of the last 30 to 40 years) allow us to command functions and dictate through voice interfaces the configuration, setup and management of core systems. This is already happening today with a few project that I’ve seen using Alex to interact with VMware vCenter, or like the video below showing Alex interacting with a Veeam API to get the status of backups. There are negatives to voice interfaces with the potential to commit voice triggered mistakes high, however as these systems become more human centric voice should allow us to have a normal and more natural way of interacting with systems…at that point we may stop being able to manipulate the machine because the interaction will become natural. AWS is trying to lead the way with products like Alexa but almost every leading computer software company is toying with voice and AI which means we are quickly nearing an inflection point from which we will see an acceleration of the technology which will lead to it become a viable alternative to today’s more commonly used interfaces.